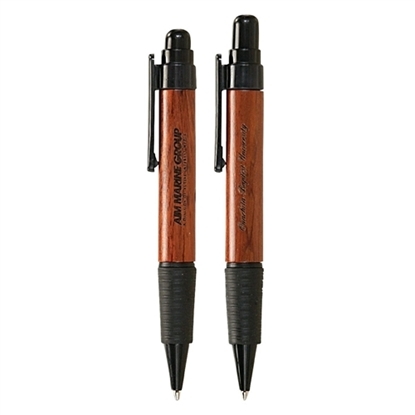 This real wood twig design ballpoint pen is not only Eco-friendly but also looks like it was pulled straight from the forest! The rustic design lends an authenticity to your environmental marketing campaign! Always in stock. FREE set-up. Polished nickel-plated trim. Refillable. Made of 26% plastic from a renewable resource. Always in stock. FREE set-up. Polished gold-plated trim. Refillable. Made of 26% plastic from a renewable resource. Always in stock. FREE set-up. Polished nickel-plated trim. Made of 26% plastic from a renewable resource. Refillable. Jumbo wood barrel. Black accents and clip. Black ribbed rubber comfort grip. 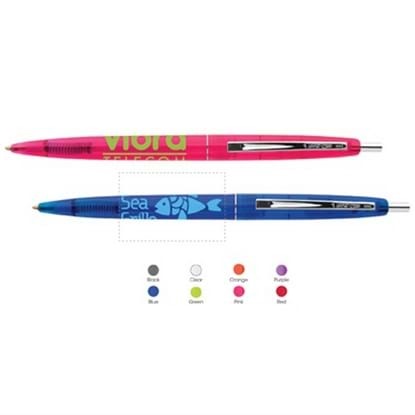 Mypromotionalpens.com offers the largest and best priced selection in Promotional Eco Pens. We will price compete and we won't be under sold. 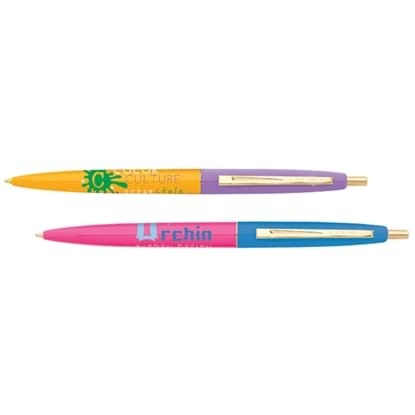 Let our graphic designers make your personalized Eco Pens standout above the crowd at no charge. We won't stop until you are completely satisfied with your custom Eco Pens art proof.Use category search filters on your left to help narrow your search to find exactly what you are looking for.